The Kramer C-HM/HM/A-C-3 is a 3' HDMI to mini HDMI cable adapter. The cable supports Ultra HD 4K60 4:4:4 for the latest in resolution standards. 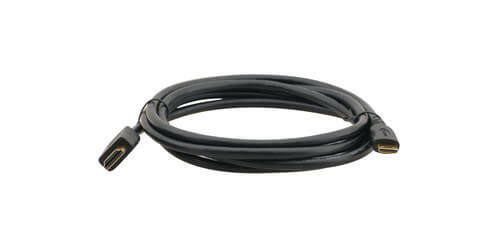 The HDMI features Ethernet capabilities and the connections are a very durable and reliable gold plated connection to ensure the best connection possible.